If you’re in a hurry, check out our top pick, Nutramax Cosequin DS Plus MSM. Joint problems like arthritis and inflammation afflict dogs as they age just like they do with humans. 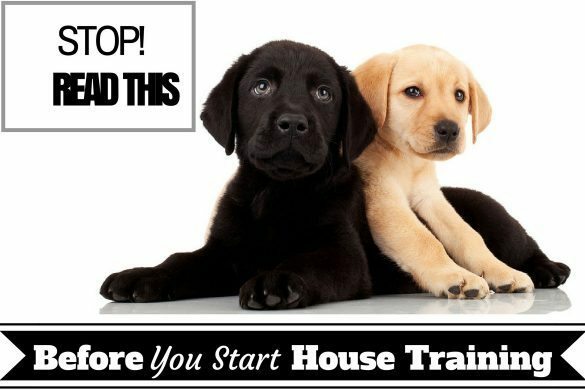 These issues can slow your dog down and make movement painful, reducing their quality of life and long-term health. 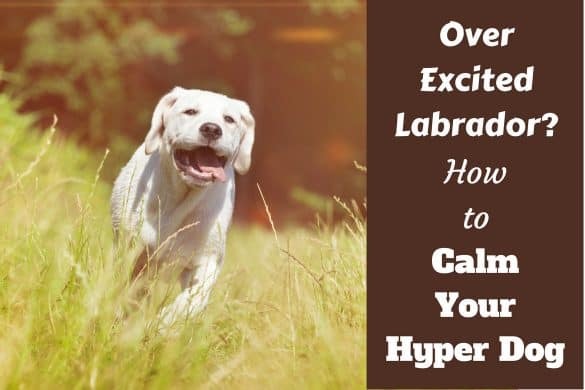 These conditions are particularly prevalent with large breed dogs, and especially labrador retrievers, though it can affect any dog, no matter the breed or their size. 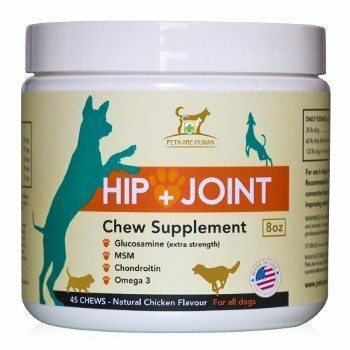 All is not lost however, and – again, just like with humans– there are plenty of diet supplements for dogs on the market that can improve any joint issues Fido may be suffering with. Although unable to provide a total cure, the best supplements can relieve pain and, if started early enough, even serve as a preventative measure. 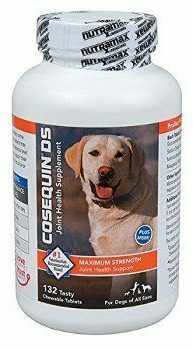 When Does My Dog Need to Take Glucosamine? 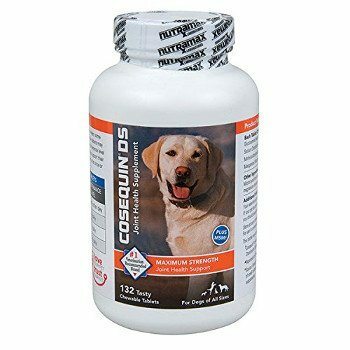 Are There any Side Effects for Dogs Taking Glucosamine? One such diet supplement is glucosamine, which you may be familiar with as a human supplement to help ease joint stiffness and the symptoms of arthritis. 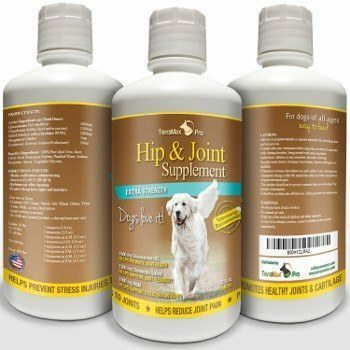 Glucosamine for dogs is similar to the human formulation and can prove a valuable tool in the fight against arthritis regardless of the stage the arthritis is at. In essence, glucosamine is a naturally occurring compound found in the connective tissue and fluid around joints. The supplement is simply a synthesized version of this. 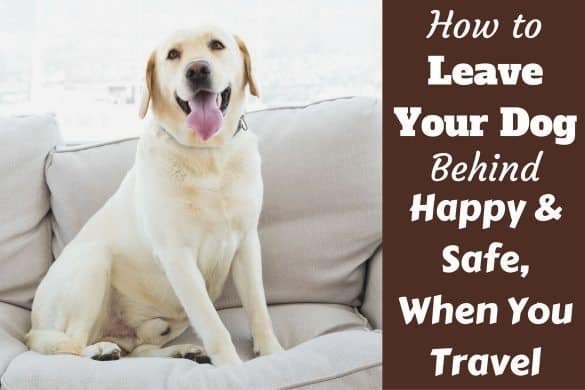 Consequently, you’ll notice that your dog has more energy and freedom to move, leading to a greater quality of life and an array of other health benefits. You can start your dog on glucosamine at any age; just remember to consult your vet so that they can advise on the best dosage tailored to your pet’s particular needs. As a diet supplement, it carries low risks of side effects and can prove preventative for arthritis and other joint problems later in life. 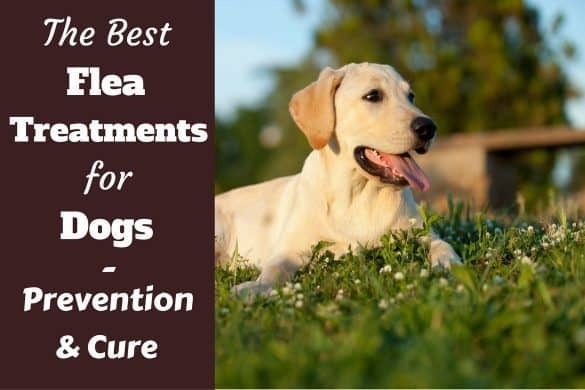 Having said that, if your dog begins to develop signs of arthritis, or if they are already in the full throes of the disease, glucosamine supplements are still a valuable tool in your dog’s health kit. If you think your dog may be developing joint problems or arthritis, consult your vet so you can begin treatment and glucosamine supplementation as soon as possible. 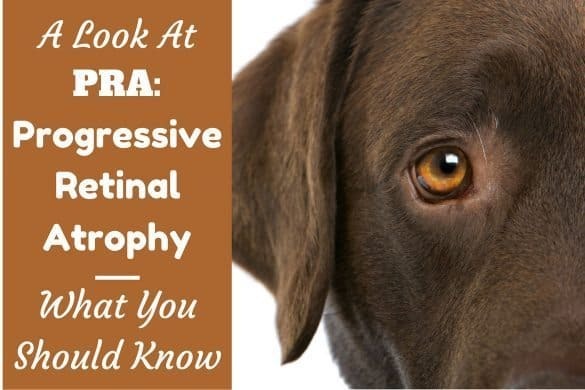 It can be quite difficult to detect whether your dog is suffering from arthritis, as our canine friends tend to hide their weaknesses and suffering as an innate defensive response. First things first, always consult your vet if you suspect your dog may be suffering from arthritis or a similar joint problem and they will be able to provide tailored advice and medication to best fit your dog’s needs. Your vet should be able to advise on the correct dosage of glucosamine for your dog, taking into account such factors as their weight, age and the extent of their problems. 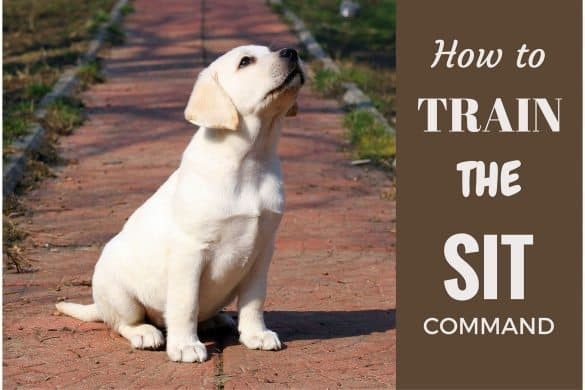 It’s imperative that you do consult a vet before administering supplements or other medicines to your dog: only a trained professional will be best placed to know how your dog will react to a certain formula. Often, your vet will advise your arthritic dog be put on an initial ‘administration’ or ‘loading’ phase, featuring a high intake of glucosamine in a short period, followed by a ‘maintenance’ period with a lower dosage over a longer time span. Many manufacturers of glucosamine for dogs will have special formulations like flavored chews, liquid, or crumbling tablets to add to food. It depends on your dog’s sensibilities which one they best prefer and are most likely to ingest. Some manufacturers include additional vitamins and minerals in their glucosamine supplement formulations to provide extra support and benefits to your dog. 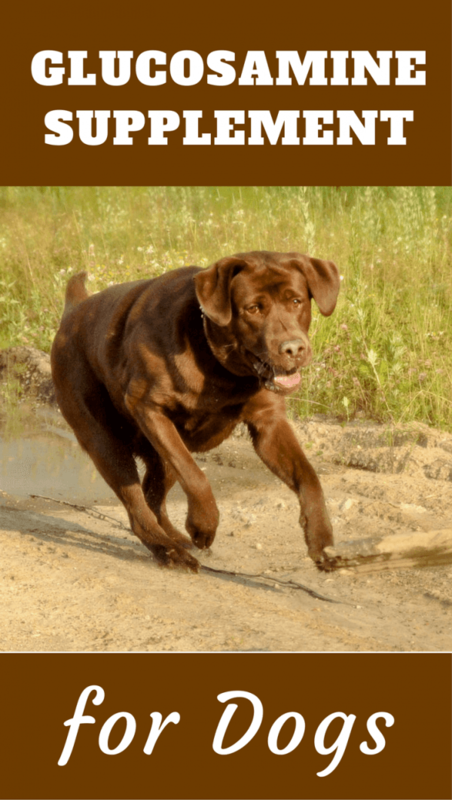 The side effects for a dog taking glucosamine are rare although not unheard of, and usually avoided if you follow dosing advice from your vet. Allergic reactions: dogs who suffer from shellfish allergies may also be allergic to glucosamine supplements. Your vet will either advise a lower dose of the supplement or recommend a plant-based formulation. Interactions with blood sugar: glucosamine supplements can interact with your dog’s blood sugar levels, particularly if they are also taking blood-thinning medication. Again, consult your vet for tailored advice. Gastrointestinal upsets: glucosamine supplements can be a little harsh on your dog’s stomach and digestive system, occasionally leading to flatulence, vomit, and diarrhea. The best way to combat this is to administer their dosage with food or lower their dose, after consulting with your vet. 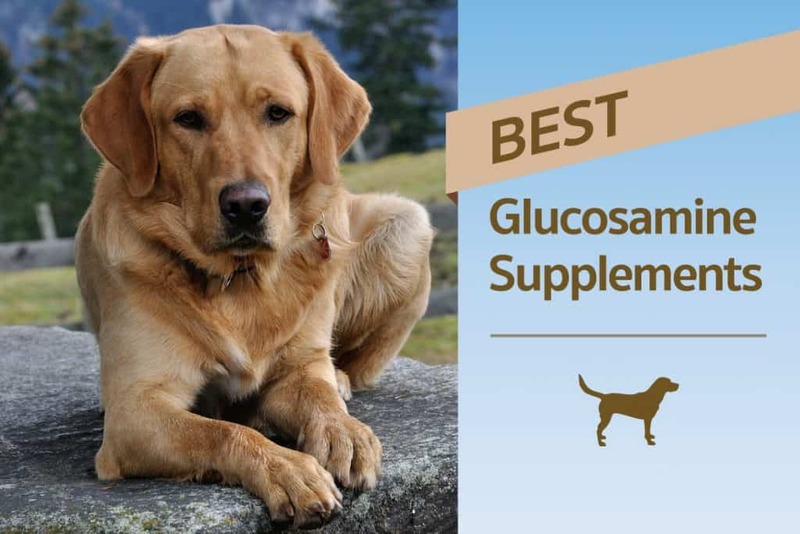 Below, we've rounded up and reviewed what we consider to be the best glucosamine for dogs currently available on the market. Trusted manufacturer Nutramax are the people behind the best glucosamine supplement for dogs on the market with their all-round joint support chewable tablet. Another Nutramax product is in second place and is well known for being potent and fast-acting – hence why it’s vets’ favorite glucosamine supplement for joint health. Although not carrying as renowned a brand name as other products in our ranking, these chews are full of potent and fast-acting vitamins and minerals, promising pain relief, joint support and an extra glossy coat for your dog. Some users have commented that it’s difficult to halve the chews without them crumbling – be sure to use scissors if you try! Offering something a little different, TerraMax’s glucosamine product comes in a liquid form and is easy to combine with food and water – perfect for fussy eaters! Additionally, it contains a high dosage of the glucosamine and other helpful compounds. 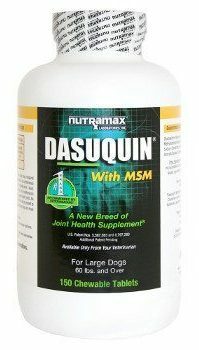 It contains an unmatched 1,600 mg of glucosamine hydrochloride, 1,200 mg of chondroitin sulfate and 1,000 mg of MSM. All ingredients are rated at human grade and are distilled to provide the purest form. As it’s in liquid form, this glucosamine supplement doesn’t last as long as the other solid products on this list. 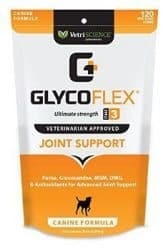 We’re back to the usual chewable tablets with Glyco-Flex’s glucosamine supplement, and this product is particularly popular with dogs that like the tasty treat aspect of the chew. These will be less helpful for dogs suffering from severe arthritis symptoms. As you can see, there are plenty of quality glucosamine supplements for dogs available and, if you choose the best one for your dog, you can be sure that their aches and pains will lessen and provide them with a higher quality of life. The most important thing to remember is always to consult with your vet when you’re assessing dosage as they will be able to provide tailored medical advice for you to follow.